The Date Lives in Infamy - the Set is Famous! We'll never forget the most important event of 1941 - the attack on Pearl Harbor that brought the U.S. into World War II. Mount Rushmore was completed that year, and the Manhattan Project got underway. No one knew that it would ultimately birth the atomic age and win World War II. 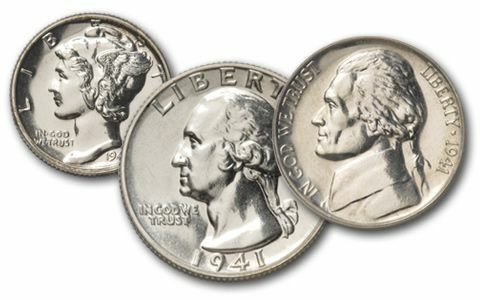 But, astute collectors back then knew to take up the U.S. Mint's offer for the 1941 Proof Set. 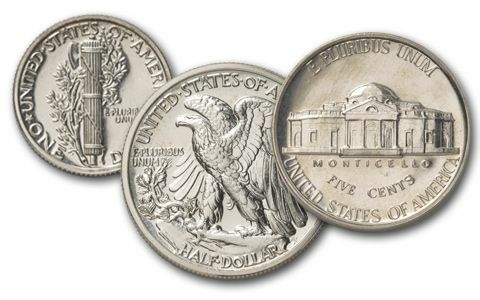 It includes a Lincoln Cent, Jefferson Nickel, Mercury Dime, Washington Quarter and Walking Liberty Half-Dollar. Only a tad over 15,000 were minted. 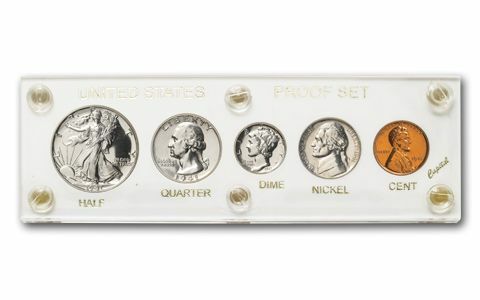 The result is this 1941 Proof Set is a real hard-to-find prize today. Secure yours while you still can. It comes in a protective hard plastic holder. Call now!